This addition to the TSM family of builds was, as usual a joy! Our new customer, David, is such an awesome supporter. 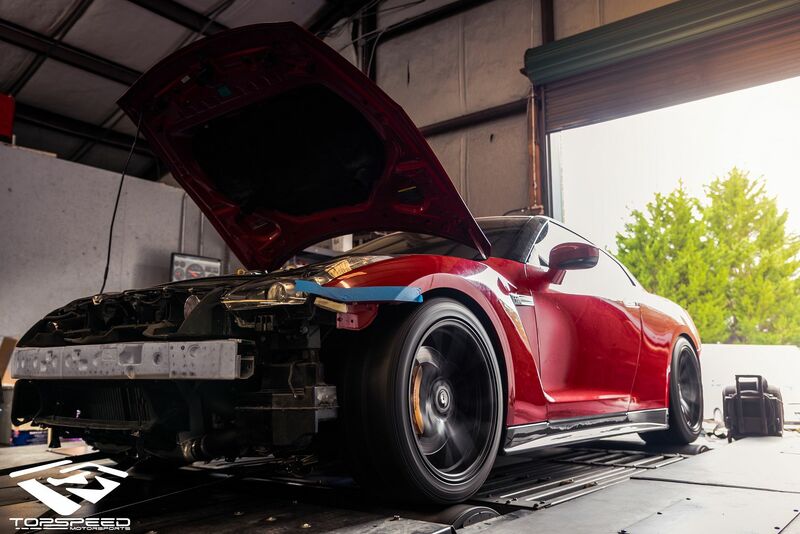 With each new build we gain not only customers but what becomes family here at TopSpeed. David for sure was no substitute. This build had a simple goal of 1000whp on somewhat of a budget (yes we do smaller budget builds too people)! 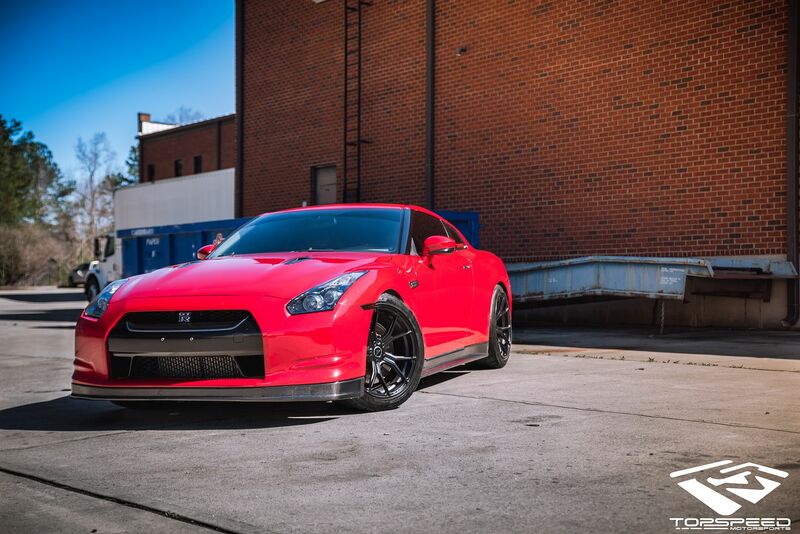 The ELITE Turbo system was to be combine with our Street Series 3.8 and our Level 0 heads. Many of you may ask what does level 0 mean. We have found that under about 1100hp doing major head work really does absolutely nothing to overall speed / power. So our Level 0 heads are simply a race valve job along with GSC valve springs in order to spin it a little higher. No need for porting or cams at that level. Our 3.8 short block is the same one we build to handle up to 1400hp. TONS of R&D have gone into these little engines. Completely custom pistons, rods and bearings exclusive to us are used. Lots of people say that “custom spec piston” but very few actually design a piston any different then maybe asking for a compression change. Our parts made by CP/Carrillo are 100% built down to the ring groove sizes, compression, pin boss design, all of it to our specs. These specs have been refined over years of engines and made possible by our partner machine shop with over 50 years of experience building some of the baddest engines in the world. That all said we strapped on some standard TSM ELITE turbos combined with a dual 485 fuel pump and ID1700s. That fuel system combination is good up to around 1100whp on E85, which works out to be plenty adequate for this build. The car already had some bolt on parts so we didn’t need to do an intercooler, exhaust and several other of the small supporting mods. Out back we installed a Shep 2.5 transmission which is a pretty good combination for the 1000whp neighborhood. Some people opt to go with the 1k that includes 1-6 gears at this level, which we recommend if the budget is there to do so, however we have had decent luck around the 800tq range keeping the factory gears happy for quite some time. There is always a chance with a factory part that there will be a failure so we just leave it up to the customer and their budget to make the decision. 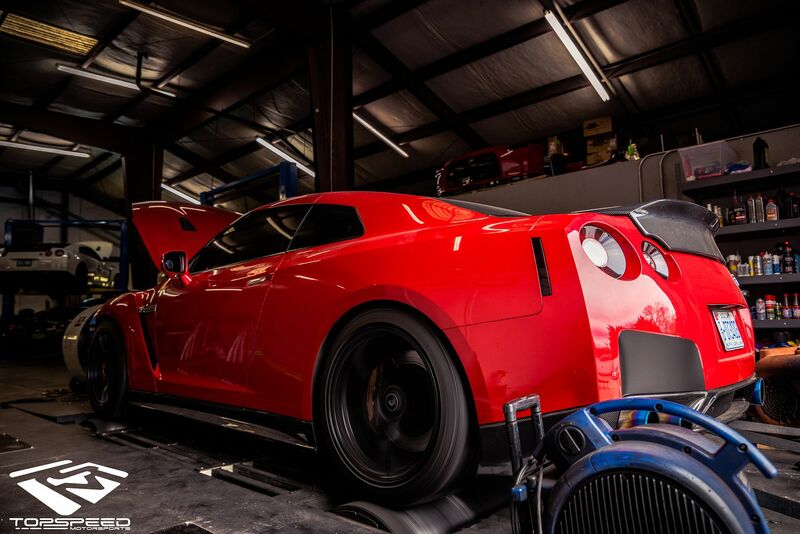 On the dyno the car performed just like we know our ELITE setup to. Pump gas was rolled through after the break in procedure and yielded just over 800hp at a very modest 22-23psi. 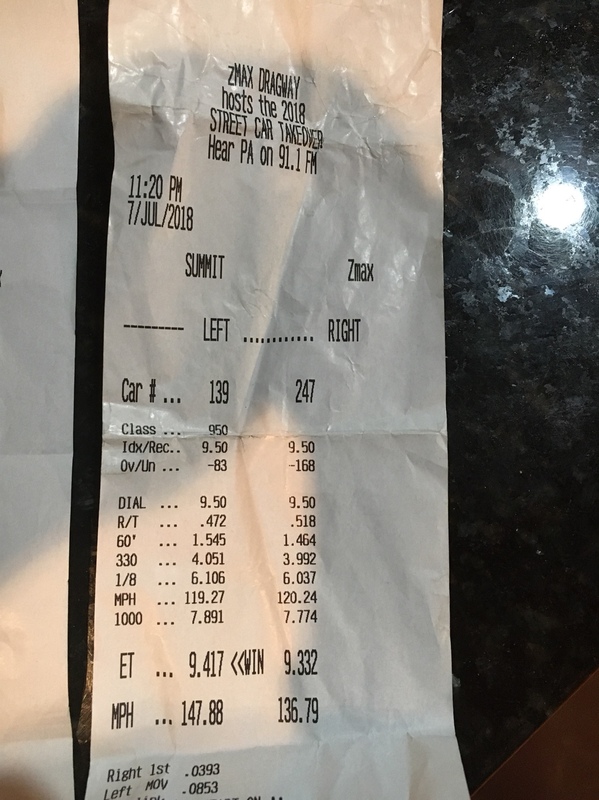 The car wasn’t to be run a ton on pump and not at all when it was being raced, so there was no reason to push for the ultimate pump gas number possible. Onward to the corn! Just a short couple hours later she laid down a very respectable 1080hp while still keeping the torque just a hair over 800. The customer has now been driving the car for a little while and enjoying the crap out of it. Which is just what we strive to hear! He has been to both his local drag strip, one event with the car, and is enjoying flogging it with the best of them. I have seen some of the videos and I will say this guy can cut a light! He has been index racing the car so always on the brakes at the end of the pass but I believe his best so far was a 9.3x @ 12x on the brakes LOL! Needless to say the car is making some power. I’m sure he will be back for a 1k and ELITE Plus upgrade one day, but for now we are glad he is enjoying a solid, issue free car! To Cicio and the Topspeed team I can’t thank you guys enough not only for the awesome build but for also taking the time to consider my budget. It has been beaten on pretty hard since I’ve gotten it back and not even a single hiccup. You guys are awesome at what you do and hands down the best experience I’ve ever had with a shop in my 16 years of missing cars. I will definitely want back for a trans upgrade and a turbo upgrade as life permits. 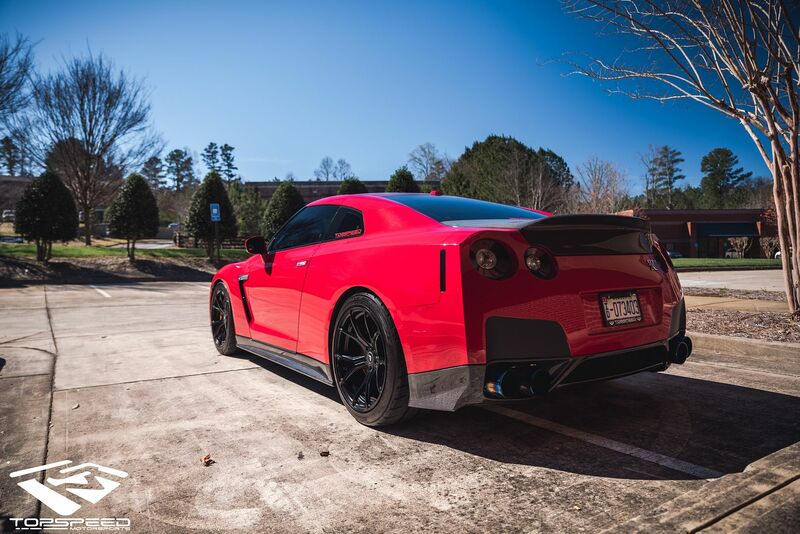 If anybody out there is looking to modify their gtr I can’t say enough about Cicio and his crew or his products . Thanks for the kind words David! Looking forward to seeing more results and helping where we can.